Quake is next in line from the Doom series. id Software released the first Quake in 1996, to much acclaim. It was one of the first FPSes to utilize a fully 3-dimensional engine; everything, including weapons and enemies, was in 3D, as opposed to the flat sprites used in previous games. Again, the engine was the most advanced of its time. id also developed the Quakeworld port , which was based on client/server network architecture and allowed players to combat with each other over the Internet with more ease. Nine Inch Nails front man, Trent Reznor, was responsible for the music and sound effects. In 1999, id released the source code to the original Quake. This allowed any programmer who had the knowledge to add new features to the game, such as 3D acceleration, model interpolation, colored lighting, and other things. Quake II is merely Quake in name only. The storyline is completely different, as is the setting. It is based, once again, on an entirely new graphics engine, which was the best of its time, 1997. 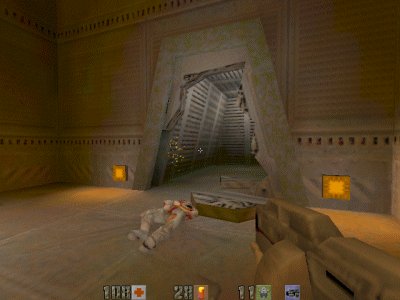 Client/server architecture was built in, and for a time, Quake II deathmatch online was the place to be. Sonic Mayhem, a metal band, created the awesome soundtrack for the game. 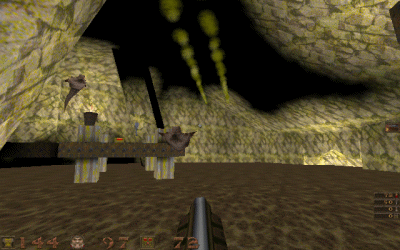 In 2001, id released the source code to Quake II. Again, this allowed programmers to hack with the game, change its behavior, and add new graphical features, such as stencil buffering, volumetric shading, and per-pixel lighting. 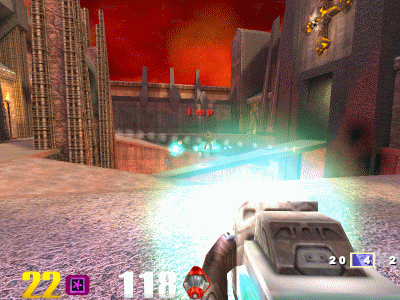 id Software took a major step in a different direction with the release of Quake III: Arena in 1999. Yes, it was still an entirely new graphics engine that was one of the most advanced of its time. However, there was no single player game to speak of; the game was entirely multiplayer-based. Mainly intended for online play, it also included computer-controlled bots for a player to hone their skills against. Quake IV is in development by Raven Software, in association with id. It will use the Doom III graphics engine, and will be a continuation of Quake II's story. I used to play the original Quake online quite a bit. I stopped several years ago, to pursue working in the Doom community. Quake really piqued my interest in gaming, though. Quake II I found interesting, and after recently starting to replay the game I have found it to be a well done fast-paced FPS. But I haven't really bothered to see what modifications have been released for the game. Quake III: Arena is a pretty cool game, and I still play some botmatches every now and then.